There’s an easy way to make your next vacation feel longer: Slow it down. You don’t have to request more time off to make this happen, either. Instead, ditch the jampacked itinerary, tourist traps and endless dining out, and go for a trip that follows the “slow travel” doctrine. “In my definition, a slow travel trip is a trip that includes one week in one place,” says Pauline Kenny, owner of the travel website SlowEurope.com, who coined the term “slow travel” and started the website SlowTrav.com in 2000 (which she later sold). Specifically, she notes, “slow travel” means staying in a vacation rental where you can cook some of your own meals, rather than in a hotel. Kenny’s framework is simple — and potentially life-changing. Slow travel can give you time to relax, discover new places and make lasting memories. Along the way, you can also save plenty of money. Here’s why you should try it at least once. To really know what it’s like to live in a new place, it helps to establish a routine. If you’re bouncing from one city to the next, there’s not enough time to do that. Even if it’s only for a week, you experience what it’s like to live there. For Gigi Griffis, a content strategist and writer who travels full time, vacationing used to mean hitting all the “must-see” destinations. But after enduring some stressful mishaps, she’s now a believer in slow travel. The change of pace gives her time to go on more spur-of-the-moment adventures and see some lesser-known wonders. 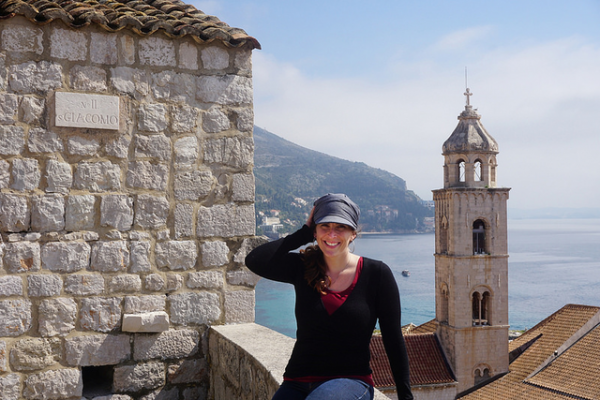 A couple of years ago, while slow traveling in Croatia, a local man Griffis met through a travel networking site gave her a tour of the Croatian coast on his motorcycle. Of the many memorable places they visited, Griffis remembers one particularly dramatic sight: an abandoned fortress on a mountain behind the city of Omis. Unlike other abandoned fortresses she had seen in Europe, there were no admission fees or tourists there. “It’s just a crumbling beautiful ruin, on a mountaintop, with views all the way out to the ocean. And I never would have found that without him taking me there,” Griffis says. Dining out for every meal can be incredibly expensive. You can give yourself — and your wallet — a breather by spending your next vacation in a rental with a kitchen, grocery shopping at the local markets and preparing some meals on your own. Along the way, you might be able to discover some new foods that you love. You still have the option of visiting restaurants, of course. But with food at home, you’ll be dining out because you want to — not because it’s your only option. Most of my best travel memories are the memories I have with other people. 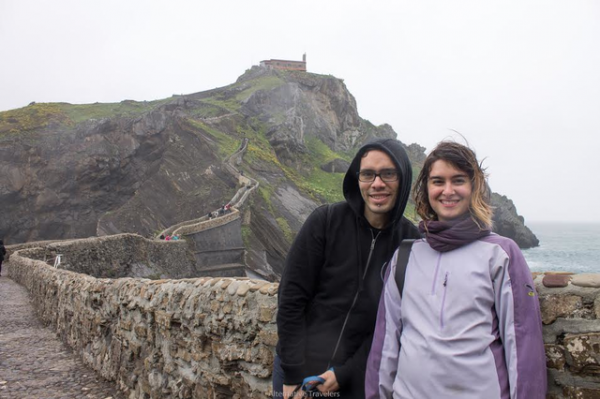 For Veren Ferrera and Sam Anthony, the couple who co-founded the travel blog Alternative Travelers, traveling slow makes for more memorable trips. That’s because it gives them more time to meet new people. “Most of my best travel memories are the memories I have with other people — not taking a picture of X landmark,” Anthony says. Because she’s trained as an anthropologist, she also appreciates having more time to learn about the local culture, she adds. “It sounds impressive if you went to 10 cities in Europe over a short period of time and saw this, this and this,” Ferrera says. “But in reality, what are you actually doing? It’s a complete blur.” When you travel slow, your trips become more meaningful, he notes. 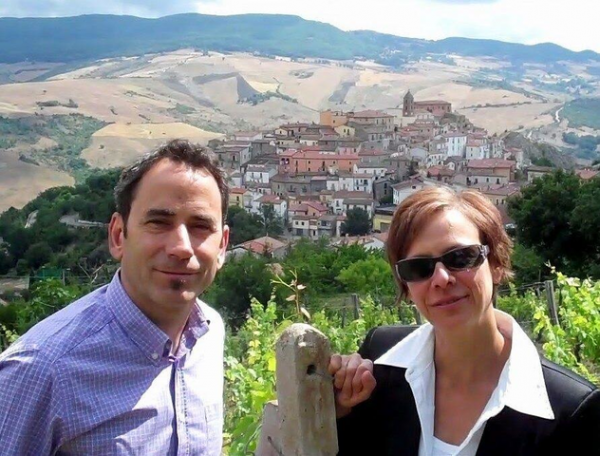 For both Ferrera and Anthony, talking to locals is one of the best parts about slow travel. The couple, previously from New York City, now live in Madrid. On one occasion, while the couple was slow traveling in Bilbao, Spain, a local man struck up a conversation with them. Because both Ferrera and Anthony are fluent in Spanish, they were able to talk with him. It was one of the highlights of their trip. Travel writer Valerie Fortney Schneider and her husband, Bryan, live in Trivigno, a small town in Italy’s Basilicata region. But they wouldn’t be there if not for the friendships they made through slow travel. While traveling slow in Rome, they visited a small restaurant that they loved. They met the owners and, throughout the trip, kept returning. We wouldn’t be living in Italy if it weren’t for their help. “We sent [the owners] a postcard when we got home. And on our next trip, we went back to eat in that restaurant, and they’ve become really good friends. They helped us move here. 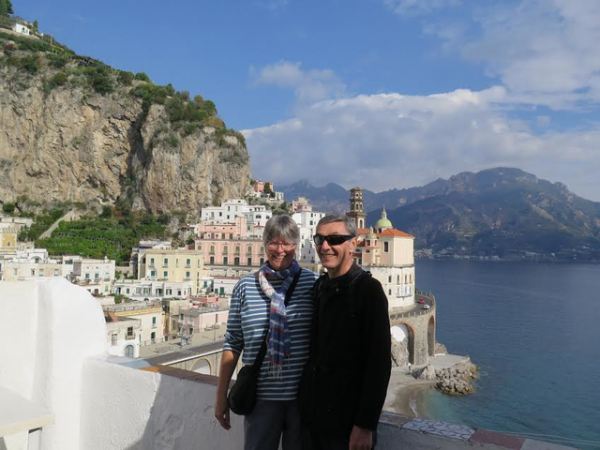 We wouldn’t be living in Italy if it weren’t for their help,” says Schneider, who previously lived in Albuquerque. That’s where she first discovered the SlowTrav.com website and met Kenny. The owners of the restaurant have since retired, but Schneider and her husband remain close friends with them. Kenny’s original concept of “slow travel” was inspired by European vacation rentals. But now that vacation rentals have become so accessible online, it’s possible to plan a slow travel trip virtually anywhere. Here’s how you can do it. Nowadays, you can easily find vacation rentals on Airbnb, HomeAway or vacation rental websites unique to the area you’re visiting. Alternatively, you could stay with friends or family abroad, or do a house swap with someone. Anthony and Ferrera say they typically house-sit for folks while slow traveling to save on lodging costs. It’s perfectly fine to visit some popular destinations while slow traveling. But pencil in plenty of free time, too. This way, “you’ve got time to make a cooking class. You’ve got time to walk around the town just to find a good bakery. You’ve got time just to watch how people live,” Kenny says. Before your trip, consider connecting online with residents living in the city you plan to visit, as Griffis did. While you’re there, make an effort to say hi to people in cafes and stores. If you’re familiar enough with the language, try carrying on a conversation. Talk to your host or the person whose space you’re renting. Just from these small day-to-day interactions, your trip will become more meaningful and memorable.